Technology can take over your financial assets and it is for real. 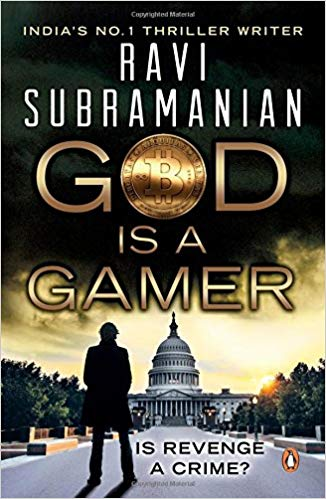 The very first line of introduction about this books says that this is a first ever bitcoin thriller. I was totally unaware about bitcoins before I read this book. I used Google. But if you are as ignorant as me, please don't Google it. Read this book. This book has explained everything about them. Once you know what bitcoins are, you are in for a fantastic thriller. Trust me on that! The narration of this book is as amazing as Ravi Subramanian's other books. You will stay engrossed in it. It is an extremely fast read and yes, you will keep asking for more. That is the reason that I could complete this book in less than a week's time. The book spans almost all of the globe. The book starts with a mysterious and dangerous conversation between the respective heads of MasterCard and Visa and eventually the plot lands up in Mumbai. This will leave you tensed for a while(because common, it involves the plastic money that we use daily!) and then you will be encouraged to dig deep into this book. Then enters the head of an Indian bank who uncover an online scam which has cost a lot of money to the bank's customers. The connection to the theme can made very quickly because these are the things that we do daily-online transactions. Scam, murder, love, lust, lies - this book has got everything. The story is weaved in a beautiful manner that every dimension given to the thriller is just right. Right place and right time! It has an entrepreneur who is struggling to make some profit and is helped in his aim by a drug dealer. The important banker dies a filmy death which can not account for an accident. The FBI flies down to Mumbai because they are threatened by LTTE. The finance minister of Inida too has a role to play in this fiction. And then, everything is glued together by the bitcoins and Dark nets- a web of sites which exist only for illegal transactions. The ending again is quite filmy but yes, it is interesting to know that how people end up paying for their karma. The way Ravi Subramanian has molded the story is commendable as it proceeds. As I said earlier, everything falls into place perfectly. I am a huge fan of Indian authors who dare to be different and indulge in writing some world class thrillers. Ravi Subramanian is one of them. The book is definitely well-researched and realistic. Everything about the bitcoins is exhaustively covered in this book. Though it has some loose ends but it encourages the reader to put on their thinking caps. During the course of the book, you will be forced to think about the safety related to the most indispensable part of our life - the internet. You will definitely be more careful with your online presence after realizing that whatever has been stated in this book is not something that can not happen in reality. In a nutshell, this one is a good read.